The revolutionary project management tool is here and it’s visual. Start Your Free Trial Now. Q1. How to compare two strings? Q2. How to compare integers using test? Q3. How to test/compare files using test? Q4. 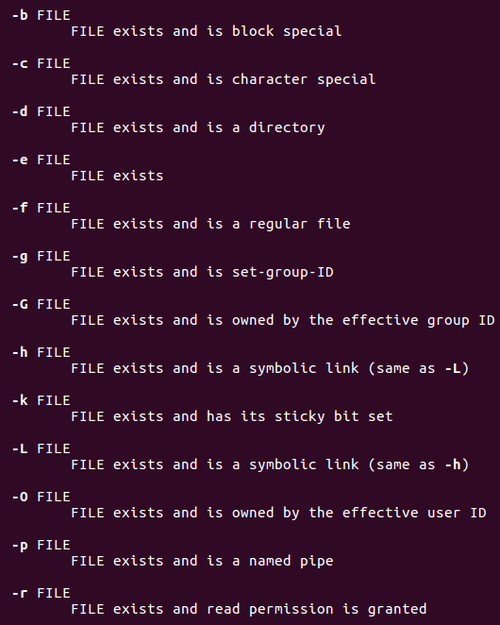 How test command handles symbolic links? Sometimes, while working on the Linux command line, you might want to test certain things like integer values, or whether or not a file is of certain type? You'll be glad to know there's a built-in command line utility test that lets you do most of these comparisons and tests. In this tutorial, we will discuss the basics of this tool using some easy to understand examples. But before we do that, it's worth mentioning that all examples in the article have been tested on Ubuntu 16.04 LTS. Following are some Q&A-styled examples that should give you a good idea on how the tool works. Note: Keep in mind that some of the command line options test provides are most useful when used within shell scripts. test howto = forge && echo "same"
So if the strings are same, the word "same" should be printed in output, else nothing should be printed. Similarly, you can use the following template if you want to test for inequality. test 5 -eq 7 && echo "same"
Similarly, you can use '-ge' to test greater than or equal to, '-gt' for greater than, '-le' for less than or equal to, '-lt' for less than, and '-ne' for not equal. Other file comparisons that you can perform include which among the two files is older (-ot) and whether two files have same device and inode numbers (-ef). 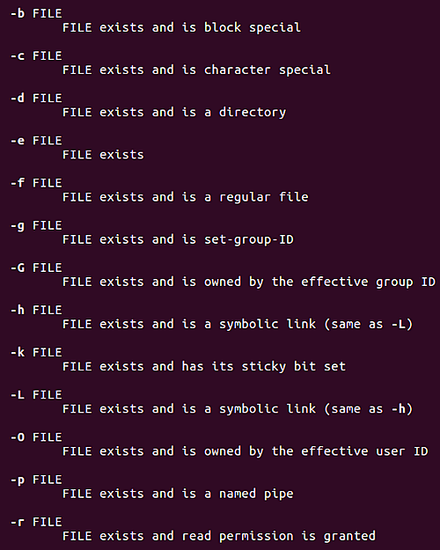 Except for -h and -L, all FILE-related tests dereference symboliclinks. In case you aren't aware, both -h and -L check if a file exists and is a symbolic link - so their exclusion makes sense, right? The test command offers a lot of options, but broadly speaking, you can club them into 3-4 categories. We have provided examples on each category. So try these out, and when you're done, head to the utility's man page for more info.